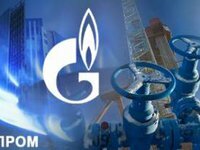 Gazprom (the Russian Federation) on August 19 increased the request for transit of natural gas through Ukraine through the Uzhgorod corridor to 170 million cubic meters in comparison with the low 110-137 million cubic meters during August 7-17, according to the Slovak gas transportation operator Eustream. As reported, in early August Gazprom reduced gas supplies in natural terms to Europe via Ukraine and Belarus, despite the absence of repairs and accidents on the gas transportation system of Ukraine, Slovakia and the central part of Russia. The decrease in supplies led to a drop in the average daily transit through Ukraine (in all directions) during August 1-18 to 237.7 million cubic meters compared with 272.8 million cubic meters per day in July and 253.3 million cubic meters per day in June. As reported, Ukraine in January-July 2018 reduced transit of natural gas through its GTS by 4.2% (by 2.252 billion cubic meters) compared to the same period in 2017, to 50.946 billion cubic meters.